Ordering tooling, dies and fixtures can slow you down. That’s why we make them here. In order to meet tight deadlines and ensure uptime, Wisconsin Stamping & Manufacturing continues to make major investments in our in-house tooling department. 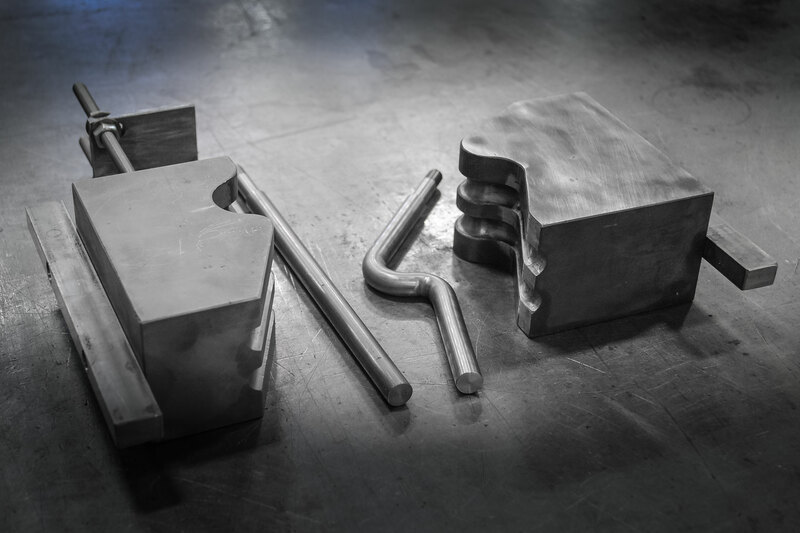 Whether your part requires a simple weld fixture or a complex multi-station progressive die, our specialists will design tooling that will bring your component to production. Our state-of-the-art equipment—and the professionals who run them—enables your tools to be engineered, machined, assembled and tested to meet demanding deadlines. That helps us deliver prototype products faster for customer evaluation and to keep your production running smoothly. Our proprietary tooling methods and modern, high speed equipment allow for close tolerances and cost effective production of your component requirements.